The Judicial Performance Commission of the Twentieth Judicial District recommends by a majority vote of 6 to 3 that Judge Noel E. Blum BE RETAINED. Judge Blum earned his bachelor’s degree from University of Vermont and his law degree from University of Colorado. He spent 19 years as Deputy District Attorney in Jefferson and Gilpin Counties. He was appointed as a County Court Judge in 2003. His caseload consists primarily of traffic and misdemeanor cases, with smaller proportions of this time devoted to civil proceedings and felony criminal cases. This is Judge Blum’s third evaluation using the Judicial Performance Commission process. In this process, the Commission considered responses to anonymous surveys sent to attorneys and non-attorneys that appeared in Judge Blum’s courtroom, a self-evaluation, unannounced visits to his courtroom, several written opinions, and an interview with Judge Blum. The commission also held a public hearing soliciting information about Judge Blum and all the judges up for retention. Survey results for Judge Blum were mixed. Some participants described him as courteous and hardworking, with a pleasant and friendly demeanor. Other participants indicated that Judge Blum can be abrupt, rude, and lacking in neutrality. Judge Blum received an overall grade of 3.30 out of 4 across all categories of survey evaluation (slightly below the average overall grade of 3.43 for county judges statewide). He generally scored higher with non-attorneys than attorneys. Among attorneys surveyed about retention, 71% recommended to retain, 15% recommended to not retain, and 14% made no recommendation. Among non-attorneys surveyed, 84% recommended to retain, 7% recommended to not retain, and 9% made no recommendation. Regarding the perception of bias reported in survey results, 71% of attorneys said Judge Blum was biased in favor of the prosecution, while 76% of non-attorneys described Judge Blum as neutral. The Commission believes that Judge Blum is doing many things well in his courtroom. He is efficient with his docket, he is prompt in issuing rulings and decisions, and he is extremely knowledgeable about the law. Still, we have some concerns. 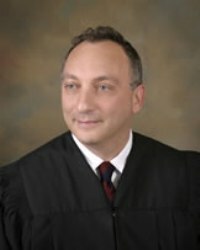 Consistent with Judicial Performance Commission review results in 2010 and 2006, Judge Blum continues to receive criticism for his judicial demeanor. He has been described by survey participants and observed by some Commission members as being moody or impatient. Many survey results shared our concerns about Judge Blum not fostering an atmosphere of respect and neutrality in his courtroom. The Commission is concerned that procedural justice, which is the idea of fairness to all parties provided by the judicial process, will suffer if negative perceptions of Judge Blum’s demeanor do not change. The frustrations of having a large docket and reductions in the resources available to county courts seem to weigh Judge Blum down and affect the performance of his job. Judge Blum has many strengths, which leads this commission to recommend retention. Still, we unanimously recommend that Judge Blum continue to work on improving his demeanor, and Judge Blum has voluntarily agreed to enter into an improvement plan.